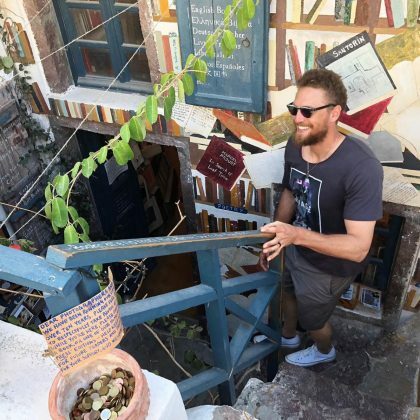 “Everyone smiles in the same language” is what Hunter Pence said when she stopped by Atlantis Books in November 2017. 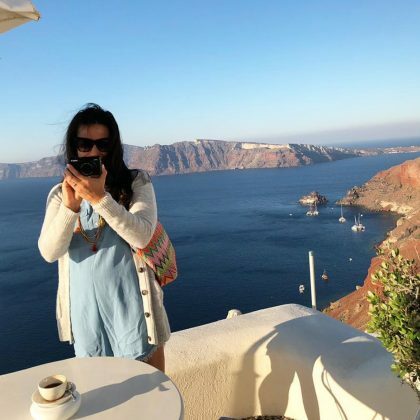 “I never said I was an Instagram husband” is what Hunter Pence said when he photographed his wife at Canaves Oia in November 2017. 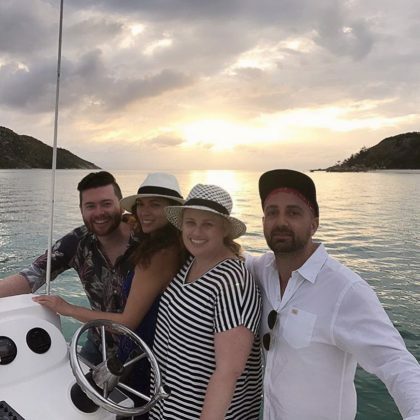 Adrienne Bailon﻿ did dinner at Sunset Ammoudi Tavern in August 2016 and shared a postcard-worthy picture from the night. 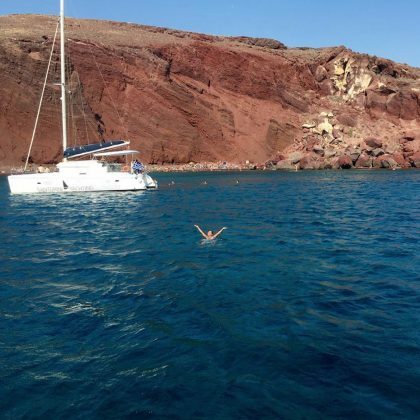 “Just me & the Mediterranean Sea” is what Adrienne Bailon said when she was in the water at Red Beach, Santorini in August 2016. 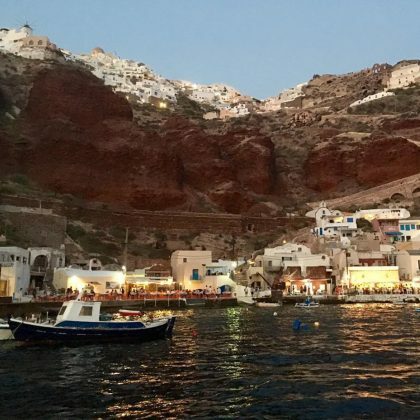 Adrienne Bailon﻿ was “In awe of this beautiful place” when she was in Oia in August 2016.